Meet one-on-one with a career coach on a first-come, first served basis to discuss how your criminal background may affect your job search. 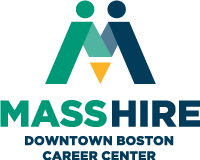 Services include understanding your CORI record, obtaining a copy of your CORI record, advice on sealing your CORI record and referrals to MassHire Downtown Boston workshops. Drop In Hours: Sign up a half hour early for a first-come first-served slot.